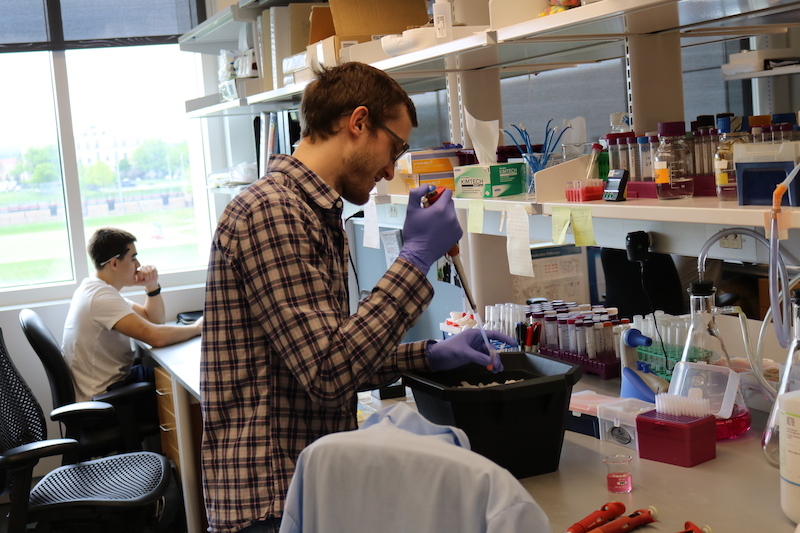 The BMCB Graduate Program has benefitted enormously by support for over 40 years from the NIH in the form of a Training Grant in Cellular and Molecular Biology (CMB). The Program Director, presently Tony Bretscher, and Executive Committee decides how the available support, currently for 14 students, is awarded. Most or all of the slots support eligible students in their first year. This award is specifically to train students in the BMCB Graduate Program, and its continued support from the NIH depends on several factors, including maintaining its unique integration into the training structure of the Program. BMCB students generally cannot be supported on another NIH Training Grant as this could jeopardize the competitive renewal of the CMB grant. Thus, students cannot be supported from another NIH Training Grant in their first two years as this would interfere with the training provided by the Program. If support is desired from another NIH Training Grant in the third year or beyond, it is due to the need for extensive new training necessary for the research project. Therefore, before applying for such support, the student and their advisor must seek permission in writing to the BMCB DGS and CMB Training Grant Director, explaining the compelling reason for such support. If the DGS and TG Director feel that such additional support would conflict with the intent of the NIH CMB Training Grant, they can prohibit a BMCB student from applying for that support.